Known for its world-class restaurants, Singapore has a lot to offer for food enthusiasts looking to try something different. But food trips can be hard on your wallet. Why can’t we have good food at reasonable prices? We list down seven that specialize in European cuisine at prices you can afford. Binomio is ideal for family or group gatherings. 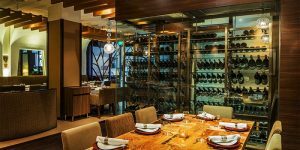 It has a fine-dining area perfect for group meals and the tapas bar for those looking to try a little bit of everything the restaurant has to offer. Binomio lets its diners experience authentic Spanish dining as it uses only traditional ingredients and cooking methods. Another excellent Spanish-inspired restaurant. Ola Cocina del Mar is located at Marina Bay Financial Centre. Don’t let its location in the heart of the banking and financial center stop you. It is a must-see place for its paella and tapas and is known for its friendly crew. 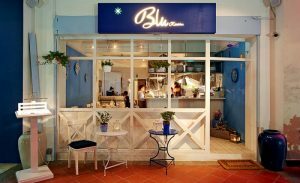 Blu Kouzina is an authentic Greek restaurant known for its Taramosalata. Its menu boasts of affordable and fair servings ranging from appetizers to main courses that can be enjoyed by a lone foodie or a group. Blu Kouzina serves only authentic Greek dips and sauces. Not only will Bluu Kouzina satisfy your craving for a Mediterranean adventure. The restaurant is also visually satisfying with its modern Greek ambiance. The list would not be complete without at least one Italian restaurant. Etna specializes in contemporary Italian dishes and select wines for that complete experience. With a wide range of authentic pizzas to choose from, the trip is worth it. They serve dishes with imported ingredients from Italy. Not only that, the great service will make you want to some back for more. Tatsuya has been around for some time. Its success come from premium servings of excellent Japanese food. One of its best is the Bara Chirashi don set. Visit Tatsuya for its menu sets at half the prices. Known as one of the restaurants to first serve ‘small plates,’ Esquina boasts of its modern Spanish tapa dishes. It is located near post-war buildings, creating an ambiance that goes well with the food. Esquina also changes its menu regularly, offering more choices for the diners with every visit. What better way to enjoy French cuisine than with wine? 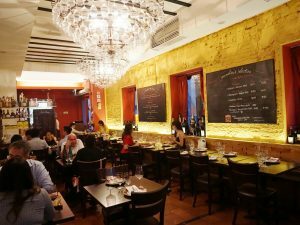 In fact, Le Bistrot du Sommelier’s philosophy is for the customers to enjoy good food and excellent wine at a friendly price. They even have wine-tasting events for the oenophiles (wine lovers). You need not go somewhere. You can find the best of the world in Singapore.